I’ve been chatting and emailing with clients and shipping companies this week to schedule pickups and deliveries of crates for tradeshows. Perhaps it’s time to share some notes and thoughts that have come up in those conversations. 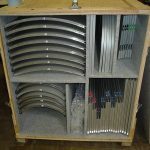 Some of our newer clients have previously worked with shipping cases with wheels that are much smaller and can be maneuvered by a single individual, and shipped via UPS or FedEx, and can often be checked on an airplane. Moving to large, forklift-required crates is a step out of their comfort zone and working with a good shipping company or an experienced tradeshow exhibit house is a must to get questions answered and reduce mystification about the whole process. One critical piece of information that shipping companies want to know to provide an accurate estimate is the weight and size of the shipping crates. While shipping crates vary in weight and size, most of the crates we work with are approximately 8’ H x 4’ D x 4’ W and weigh between 800 and 1200 pounds. Which means they are expensive to ship and need a forklift to move them around. But if your crate is similar and you don’t know the exact size and weight, if you give them that information you can at least get an estimate that will be in the ballpark. 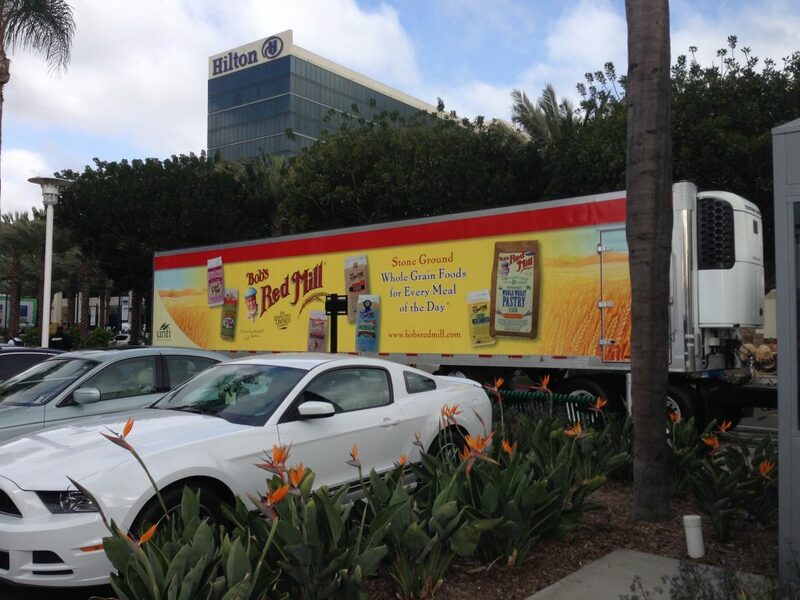 And what about branding your truck trailer? When delivering to the advance warehouse, the advantage is that you know your crates have arrived safe and sound and in plenty of time. If you’re shipping direct to show site, many shows have targeted freight move-in which means that the truck must arrive on the right day at the right time to make the delivery. Bigger shows often have a separate marshalling yard where the trucks must first check-in prior to making the delivery to the show site. And when shipping to a show site, your driver may have to sit and wait for several hours while on the clock prior to delivering. Typically that doesn’t happen when shipping to the advance warehouse as they are receiving freight spread out over several weeks. When delivering to the advance warehouse, you’ll incur material handling (drayage) charges based on the actual weight of the shipment. For example, in Anaheim at the Natural Products Expo West, material handling for booth materials runs to $112.50 per CWT (per hundred pounds) (carpeting is charged at $180 CWT), and if the crates arrive after the deadline, a surcharge of 30% is levied when all is said and done. Some shipments may incur special handling charges, which include ground loading, side door loading, constricted space loading, designated piece loading, stacked, cubed-out or loose shipments, multiple shipments, mixed shipments, improper delivery receipts, and uncrated shipments. Having a shipper walk you how to prepare your shipment properly can help avoid additional costs. Over the last few years I’ve had numerous shipping companies reach out to me to pitch their services. Yes, there are a lot of shippers, and they’re all looking for more business! I’ve gotten quotes at times, and rates vary but not a lot. Some companies ship tradeshow-only goods and tout their higher levels of service. 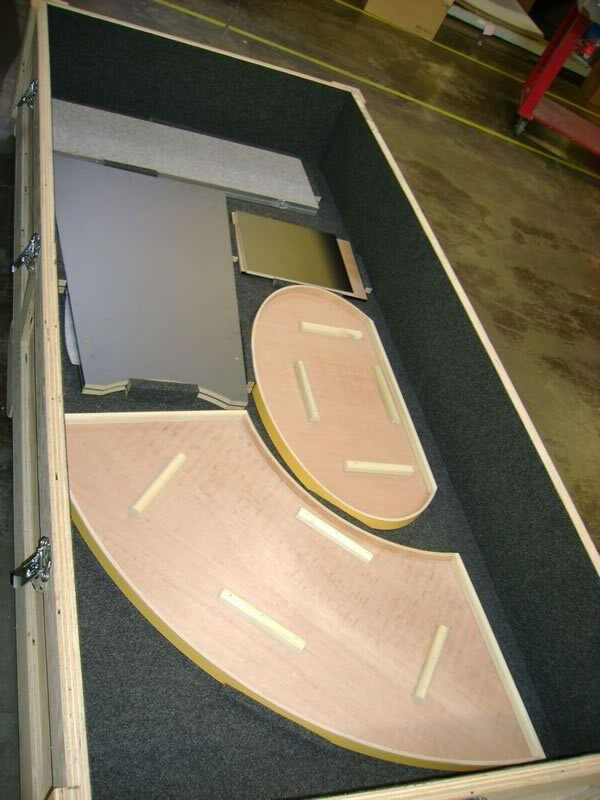 Shipping your tradeshow exhibit crates can run up the bill, but combine materials (send products in a crate with your booth instead of sending a separate crate, for example), make sure it’s all clearly marked, and work with an exhibit house or shipping company that can assist you if need be. So many exhibitors leave the end-of-tradeshow logistics to their staff or to the I&D crew. But what happens at the end of the tradeshow can have an impact on your bottom line and frankly your peace of mind. Unless you’re intimately involved in the end-of-tradeshow dismantle and shipping, it’s easy to think that it almost happens by itself. If only that were true, right? A recent example from a client: the BOL (Bill of Lading) was handed in to the show services desk prior to the exhibit being dismantled and packed away. That was to happen the next morning. Unfortunately, the crates vanished. The BOL was in hand, so the order was given, and the crates were picked up. Fortunately, one of the I&D (Installation and Dismantle) crew caught the error and was able to track down the crates, which were at the nose-end of a trailer truck. But they were returned (at additional cost to the client), the exhibit was packed up and everything turned out as it should. Tradeshow shipping is a different kind of cat as the saying goes, and there are a lot of moving parts. The best approach? Plan well ahead so you know what will happen and when. Know when the advance warehouse will be able to receive incoming shipments. Working with a trucking company that is familiar with how the tradeshow shipping grind works will pay off. Time windows for both delivery and pickup can be a bit crazy, and it’s not uncommon for a truck to sit in line for hours (on the clock) awaiting their time to pick up their freight, especially at a busy show. This is even after they’ve checked in at the marshalling yard at the appropriate time. At the end of the show, someone that’s in charge of making sure the paperwork is handed will need to fill out an MHA (Material Handling Form) and give it to show services, which is paperwork that authorizes the show contractor to pick up your crates and deliver them to the loading dock – this is called drayage. And make sure to read the fine print. The MHA must be filled out accurately to make sure that the crates and other materials are picked up. The fine print will also tell you that the show contractor has no liability for handling materials after the show deadline has passed, which means they can choose to ship your materials back in any way they deem. If they do it at all. The afore-mentioned BOL is a document that outlines the agreement between you and your transportation company that authorizes them to pick up the crates and deliver it back to the warehouse. Often your EAC (Exhibitor Approved Contractor) that is charge of setting up and dismantling your exhibit can handle all of these logistics – they do it all the time. But to make sure that happens, coordinate with the supervisor or your client representative. 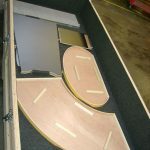 In short, the goal is to get your exhibit and materials packed up efficiently and properly, and have it picked up and shipped to the proper destination. Sounds easy, right! It isn’t hard, but there are a number of ways things can go sideways, so make sure all of the pieces are handled properly and you’ll be able to relax on your plane ride home. 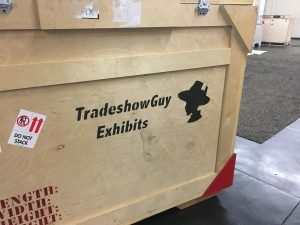 Tradeshow Shipping: What are Your Options? 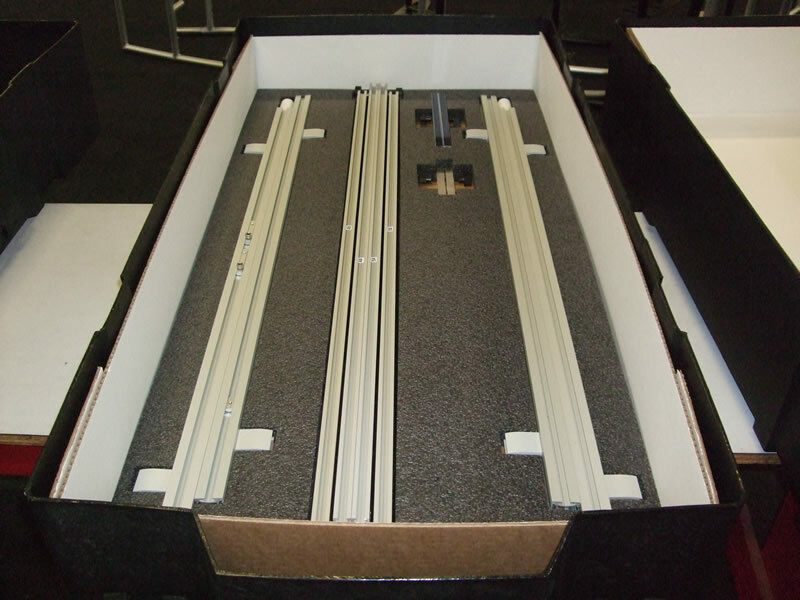 When it comes to tradeshow shipping, you certainly have options. And, like all of the aspects of tradeshow marketing, there are many moving parts. No pun intended. For shipping, to make it easy, rely on great tips from the Freight Pros, who remind you that it all starts with the BOL (Bill of Lading). Article author Logan Theissen discusses other items such as freight class, freight carrier, delivery windows and the dicey ways of getting in and out of busy tradeshow shipping docks. Shipping in advance to the show warehouse is more economical than shipping direct to the show, but it does mean that you’ll need to ship a week or more sooner than you would when shipping direct to the show. Shipping direct is more of a juggling act, as you have to find a shipper that can deliver at a specified time to a specified location. 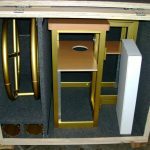 If you are shipping smaller items, such as product samples or replacement graphics, shipping to yourself or another employee at your hotel may be a good option, so that you can simply carry the items onto the show floor. Another few tips courtesy of My Display Source: always keep records – tracking numbers, phone numbers of shippers and contacts, BOLs, etc. Take photos of all of the paperwork at the show. And if something shows up damaged, photos are a necessity. Before you go to the show, know what is shipping back and how, and what, if anything, is to be discarded. And don’t make the mistake of shipping items to the show that you won’t use. You’re paying for it, make sure you don’t ship extraneous items. What about another aspect of shipping, such as the choice between a large custom wooden crate, or smaller molded plastic shipping cases? 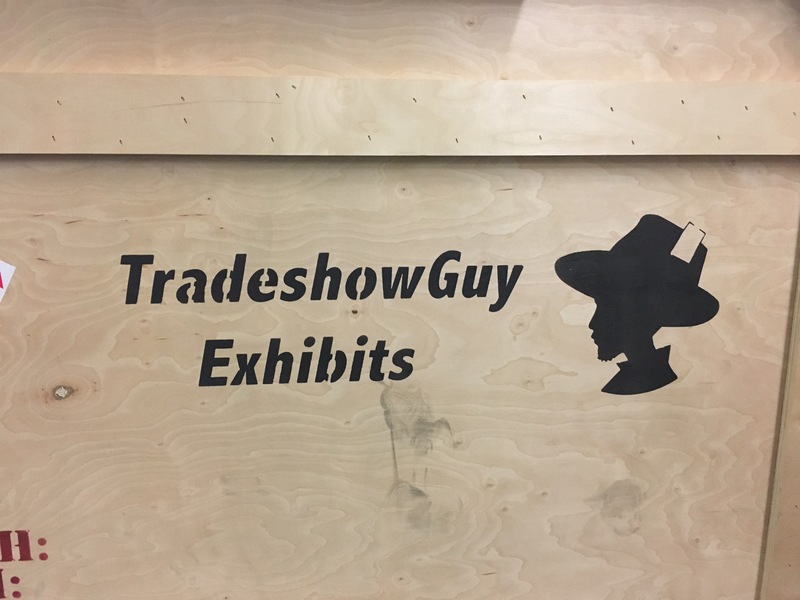 Many clients we work with at TradeshowGuy Exhibits have exhibits that are of a size (10×10, 10×20) that frankly could go either way. A modest 10×10 can be shipped in a custom-jigged, padded wooden crate. Exhibits last a long time when shipped with that kind of protection. 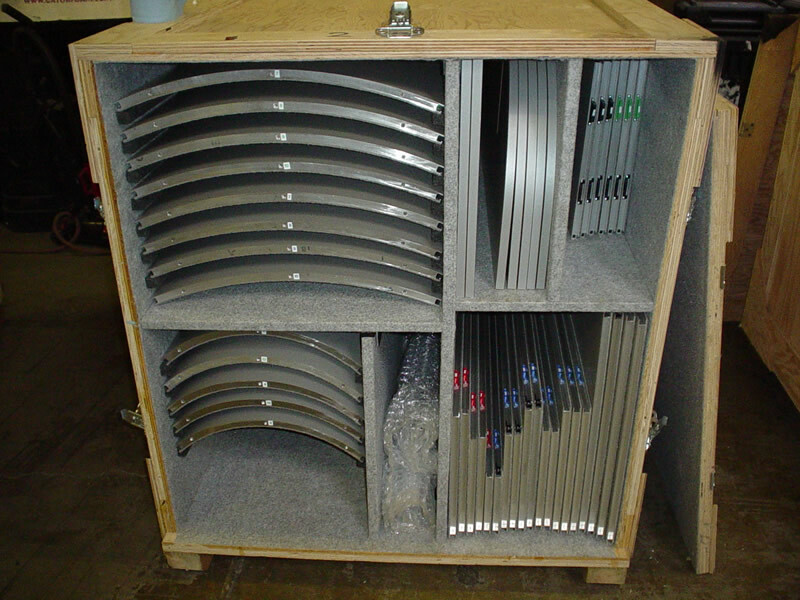 But the same 10×10 that ships in a single custom crate may take three, four, or even five roto-molded plastic cases. There is a huge variety of cases and crates to choose from, and it’s an important thing to consider when purchasing a new exhibit. 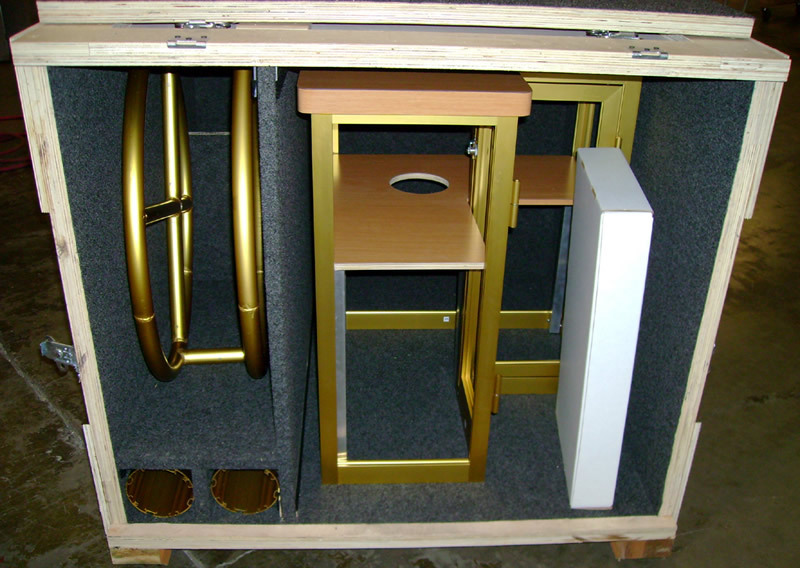 Some clients like to have a custom crate, and have additional space built in so that they can include sample products and other essential items for your tradeshow tool kit. Some clients prefer not to have to deal with freight companies or shipping docks and fork lifts, and opt for the smaller plastic cases. 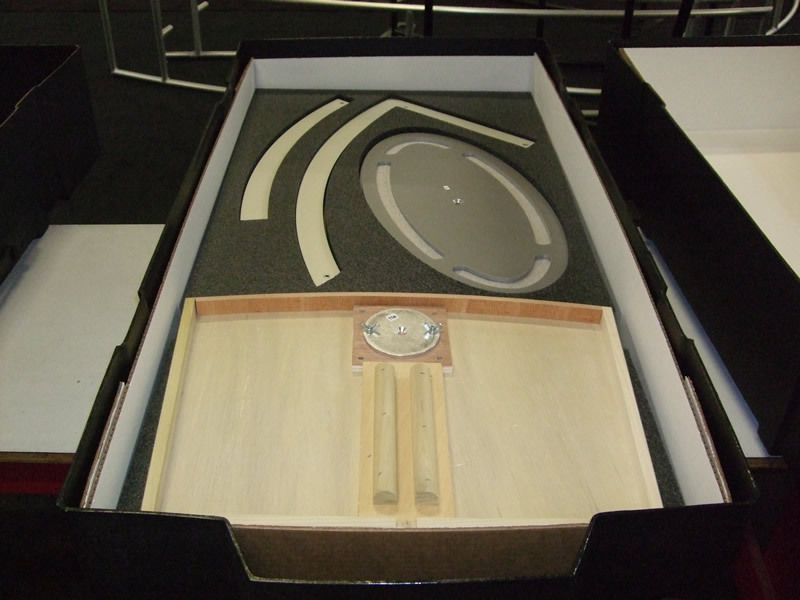 Some cases double as counters and can be branded or modified with printed wraps as well. When making that choice between cases or crates, talk to your exhibit house. 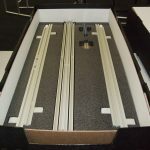 Do they provide custom-cut die-cut foam packaging to protect all pieces during shipping, or do they just wrap things in plastic or bubble wrap and toss it into the case? It makes a difference, so be sure to ask! Oh yes, tradeshows can be very expensive, so what should you do to save money when exhibiting at a tradeshow? Let’s take a look at just a handful of ideas. Partner with a bigger exhibitor. You may be a perfect complement to a partner with a much larger booth presence. Explore the idea of taking a small corner of a smaller exhibit. Both exhibitors will benefit from the added traffic when both exhibitors are promoting the joint appearance. Rent an exhibit. Not always the best of go-to solution, but for many exhibitors, renting a booth means not dealing with storage. Usually at one-third the cost of purchasing a similar exhibit. Dig deep to cut your travel costs. Cutting those costs may mean taking one or two fewer people, staying in hotels that are on a transit line but still a bit away from the convention center. Save power by using LEDs instead of hot halogens. Cut your shipping weight. Using graphic graphics that fold up are going to cost a lot less to ship, and will take up less space. Cut your shipping costs even more. Shipping monitors isn’t a big deal. But imagine if you had them purchased locally, delivered them to the convention center, and then either shipping them home in your crates, or donate them to a local nonprofit and take a tax write off. Don’t use your exhibit properties only at the exhibit. Work creatively to use them at other times of the year. Set a graphic up in your company entrance, show it off in the conference room or use it for a video shoot. 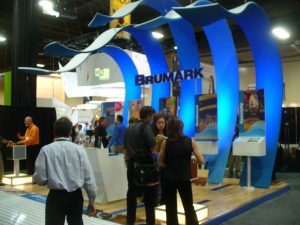 Getting more usage out of your exhibit materials, especially the graphics, gives you a chance to stretch those dollars. 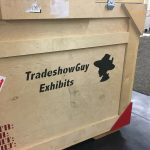 As a company owner, salesman and project manager for TradeshowGuy Exhibits, I get tradeshow marketing questions. Hoobooy, I get a lot of questions. I thought it might be fun to answer a handful of the most common questions I get. Our shipping costs are sky-high. How can we bring these costs down? Many questions are about costs, so it’s a good place to start. Certainly, if something is heavy it’s going to cost a lot to ship. Wood panels are heavy, and many older exhibits have a lot of wood pieces. It also adds up in drayage costs at the show. 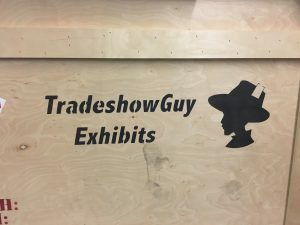 Some clients like the image that wood gives them, so they bite the bullet and build the cost of shipping into their exhibiting program. Others that want to bring the shipping costs down look at lighter materials, such as silicon-edge fabric graphic panels (SEG) that give a great look but don’t have the weight and heft of wooden or other types of panels. How can we increase our ROI? It seems that tradeshow marketing is hit and miss. Yes, investing in tradeshow marketing can be expensive, but done right, it can be a boon and open doors to markets that you wouldn’t be able to otherwise reach. Sometimes it comes down to exhibiting at the right shows. It often means putting more time, energy and resources into pre-show marketing, booth staff training and a booth that accurately represents your brand (among others). There are a lot of moving parts and if you let a few of those parts go unattended to, it can contribute to your failure. I spoke with a former exhibitor recently who said the last time they exhibited was years ago and it was a bust. When we spent a few minute dissecting it, we come to the conclusion that as a small local business, one of their biggest challenges was finding a local show that could provide a large enough audience of potential customers. Without deeper digging, it was impossible to know in that brief call, but we both felt that we identified one of their most important challenges: getting in from of the right audience. How do we work with a designer? We’ve never done that before. Often I end up working with exhibitors who are in a sense moving out of their comfort zone. Before now, they have purchased exhibits from a source that just shows them a catalog of pre-made items. Nothing wrong with that, there are hundreds and hundreds of modular exhibits and accessories that are more or less ‘off-the-shelf’ that will do a great job for you. But exhibitors will often reach the point where they have the budget and desire to move into something custom. Working with a designer is straightforward – but you have to choose a designer that knows how to design in 3D. Graphic designers typically won’t have the skill to do so. However, trained 3D exhibit designers know how to design exhibits that take into account all of your functional needs: storage space, display space, foot traffic flow, graphic layout and so much more. A typically-trained graphic designer won’t have the skill that a 3D designer does. As for working with a designer, it’s typical to have a long conversation, either in person, or on a conference call, with the company stakeholders so that all needs are discussed. At that point the designer will create a mockup or two for review and once comments are in, changes are made until the final design is agreed upon. I need a new exhibit. Should I prepare and issue an RFP (Request for Proposal)? It depends. There’s no definitive answer on this one. An RFP does a couple of things: it helps clarify your exhibit needs by forcing you to articulate all of your needs, budget, timeline and so on. Putting it all in black and white is a great exercise whether you’re putting out an RFP or not. If you don’t have an exhibit house in mind, issuing an RFP allows you to vet a handful (probably 4 – 6) companies, and make them jump through some hoops to make their case, and perhaps even do mock designs for you. On the other hand, if you have been working with an exhibit house that has done you well – has created great exhibits for you in the past, has been an effective partner for years – then no doubt you’re in good shape staying with them. How much does it cost? It’s a question people don’t really like to ask, but usually end up blurting it out. Some items come with a set price, like the off-the-shelf catalog items, but if they’re shopping for a custom exhibit, there is no obvious answer. In my younger salesperson days, I’d answer the question with “well, what’s your budget?” but that’s not really a good answer. The better response I believe, is to ask them how they come up with a budget from their end. What is their process for determining how much they are willing to invest? There are industry standards – which are pretty accurate, and a good starting place – but the client has to work through a number of internal issues unique to come up with a realistic budget for their project. A final thought on this: if their internal discussion gives them a number that isn’t realistic for their expectations, a reputable exhibit house will tell them so. How quick can you get it done? Or: how long will this take? This question often comes from an exhibitor who hasn’t paid close enough attention to the calendar and are now scrambling to get something in place. A recent exhibitor asked me – months (almost a year) ahead of their need and asked “how long does the process usually take?” The question was about designing and fabricating an island booth from scratch. I silently gave him kudos for asking the question up front (and not waiting until a month or two before the show), then told him my answer: for an island exhibit, we’d love to have 3-4 months at minimum. Six months is better. But we’ve turned around island exhibits in 5 or 6 weeks IF the client has a really strong idea of what they want and all that’s need for design is for the designer to create the rendering and confirm that the look and feel and dimensions are accurate – and then we’re off to the races. Certainly there are other questions I hear, but in reflecting the past year or two, these seem to be what come up the most-asked tradeshow marketing questions. What questions do YOU have about exhibit creation or tradeshow marketing? Yes, I tried to play back the recorded interview on Facebook but for whatever reason it wasn’t working. Still more research and practicing to make it work. But in the meantime, all the content is here! Got a chance to chat with John Halvorson of Transgroup Global Logistics this week for the vlog/podcast. John was a great interview, unloading lots of great information on the ups and downs and back and forths of tradeshow shipping. Give a listen or take a look on either the audio podcast version below or the video version. Sometimes I get tradeshow exhibiting questions. Well, frankly, I get a lot of questions. Some of them are even about tradeshow marketing! It’s worth seeing what people are asking, as well as what they’re thinking but not asking (I think!). Q. 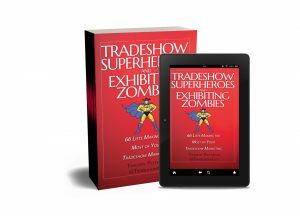 Are tradeshows really worth attending? A. The answer is: it depends! It depends on a variety of factors. Where to start? Let’s say that on average, companies spend about a third of their yearly marketing budgets on tradeshows, so there is definitely a lot of money ending up promoting products and services via tradeshow marketing. To get the most bang for your buck, do your due diligence by making sure you’re at the right show(s), with a good-looking and effective booth and well-trained and prepared staff. Beyond that there are so many variables you could write a book about it. Well, actually, I did. Q: How do I know what kind of booth to get or what size? A. While this is generally dictated by budget constraints, other factors come in to play, such as the size of the show (exhibitors and attendance figures are important to have), what competitors will be at the show and how important a particular show is to your overall tradeshow schedule. Sometimes a small 10×10 booth does a great job representing your company with only a few staffers. Other shows may dictate that you consider stepping up your presence. 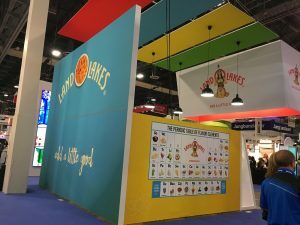 Lots of exhibitors that show up year after year at shows that are beneficial and help them build their businesses will continually invest in larger booths to make a bigger impression at the show. And when it comes to tradeshows, more than any other kind of marketing, perception is critical! Q: Graphics are a big challenge for us. What’s the best way to approach this subject? A. 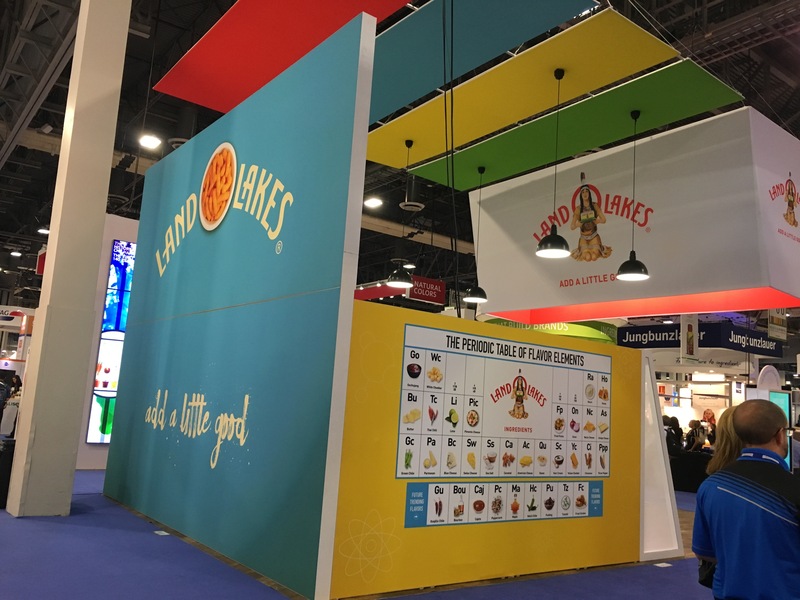 Graphics are critical to the success of your booth, so it makes sense to get the most effective design and use the highest quality. Design is critical in that your design should be striking, compelling and simple. Putting too much into a design means that people will not stop to digest it. Large images, bold text, compelling questions or bold statements are all ways to get effective graphics on to your booth. And be sure to work with someone who’s used to creating the large-format, high-resolution graphics that are necessary for effective tradeshow graphics. And work with a production facility that does high-quality production. Q. Even with a big booth in a good location and a great product, we’re still coming up short of the amount of leads we feel we should be generating. What else should I consider? A. A few areas to look at: booth staff competency. 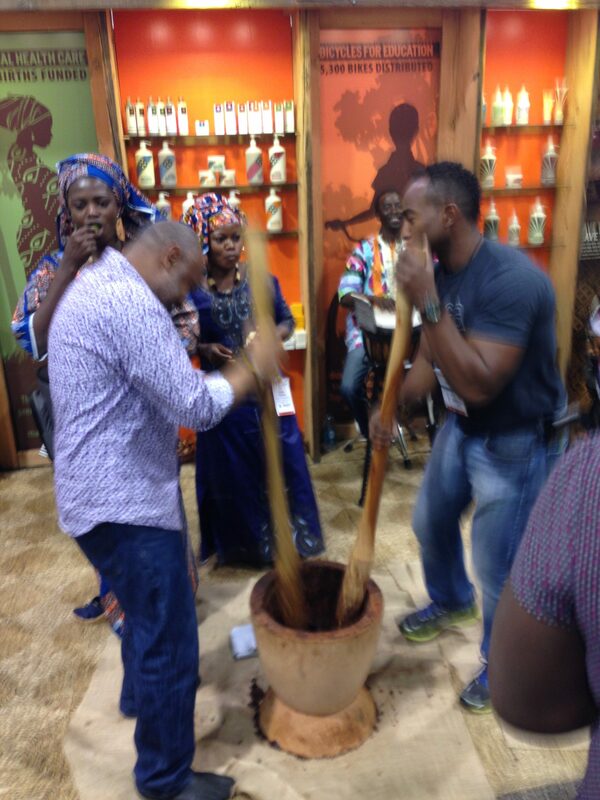 Are they properly trained on how to handle visitors in a tradeshow? Also, do you have any interactivity in your booth? That might be something that a visitor can put their hands on, which takes them a few moments during which you can then uncover information to qualify or disqualify them. Finally, you might consider hiring a professional presenter. A good one is worth their weight in gold in the amount of leads they can generate. Q. I’ve never exhibited before. We know it’s important to make our presence known at some very targeted shows. What’s the best way to start? A. Talk with a professional who can walk you through your various options. These depend on budget, of course, but you’ll want to compare renting vs. buying; custom vs. modular or system booth and go over which shows are really a good fit for you. From there you can talk about how best to show off your product or service, how many people to take to the show and what kind of lead generation tools you might want to consider using. Q. Tradeshows are expensive. What are some good ways to cut costs? A. Yes, they can be expensive! But you can find ways to keep costs down. 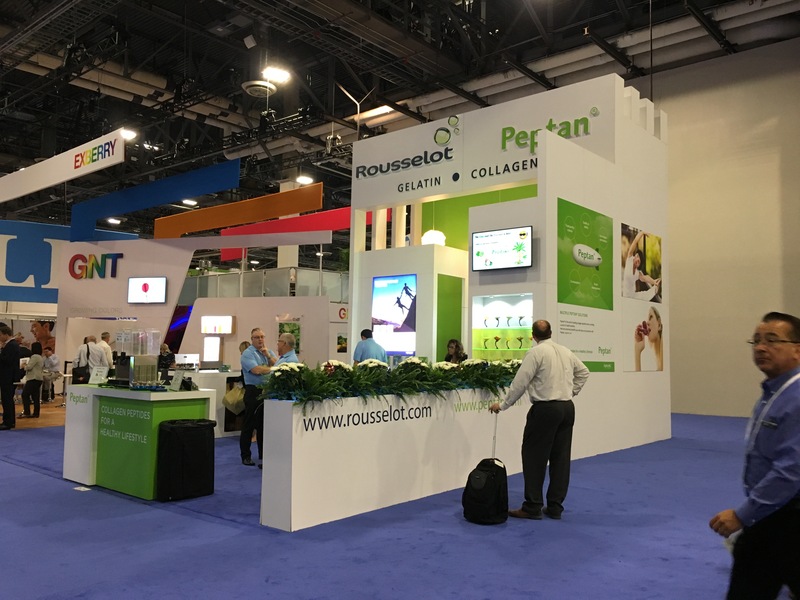 You can look at cutting exhibit costs by not using hanging signs (expensive to hang), using a modular booth vs. custom, using reusable packaging material, not having extra boxes shipped to the floor (drives up drayage cost) and much more. 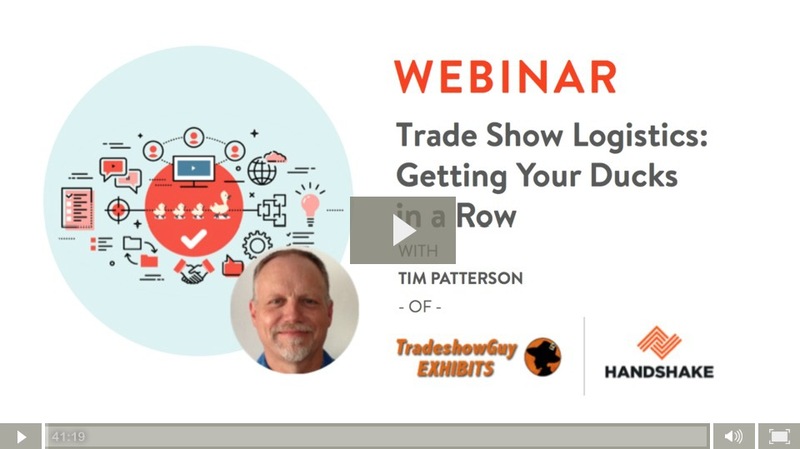 For a very thorough list, I’d recommend you take about 45 minutes and watch Mel White’s recent webinar with Handshake on 25 Ways to Cut Costs at Your Next Tradeshow. It’s well worth your time. Got more questions? Let me know! Last week I sat in with the good folks at Handshake.com and offered a look at Tradeshow Logistics: Getting Your Ducks in a Row. It’s a part of tradeshow marketing that is critical, but tends to be set aside in favor of things such as pre-show marketing, staff training, lead generation and so on. In this webinar, we covered a lot of pertinent things, such as shipping, booth upgrades and graphic changes, the logistics of lead generation and getting them back to your sales team and more. Thanks to Handshake.com for offering to have me host another webinar with them! Tradeshow Success is built on a lot of moving parts, and it’s often hard to know exactly how successful the show is unless you track the details. So let’s dive in a little and see what 8 essential tradeshow metrics mean the most to your overall success. Booth visitors: knowing the overall number of booth visitors, or at least a valid estimate, can give you valuable information, especially in a year-to-year comparison at the same show, and from show-to-show. Even though when you measure show-to-show it’s a bit of an apples to oranges comparison, it does give you intel to help judge the show’s effectiveness. e levels: hot, warm and cool. This will give the sales team the information to correctly follow up on the hot ones right away and the warm and cool ones later. Sales as a result of the leads: track how many new customers came out of the show in the first three months, six months and year (depending on the type of product or service you offer). Track the overall sales amount. It’s harder to track B2B sales from a tradeshow simply because you might not get a new customer until a year or more has passed. New leads: a slight differentiation from all leads, this breaks out the brand new potential clients from those that you’ve had some sort of contact before. Valuable information, indeed. New customers: same with customers – how many news ones did you get as a result of a show vs. how many are repeat customers that happened to be at the show and buy something because of the show. Budget: actual vs. estimated. Keeping track of the investment is important; knowing how much over or under budget is critical. Cost per lead: divide the overall cost of the show by the number of leads gathered to get a cost per lead. Return on Investment: divide the overall net profit you’ve gained over three, six, twelve months by the net profit from the show (gross profit minus the cost of attending the show). There are other numbers you can track, but if you do nothing but track these metrics you’ll have a lot more insight into the kind of success your tradeshow marketing program is giving you. 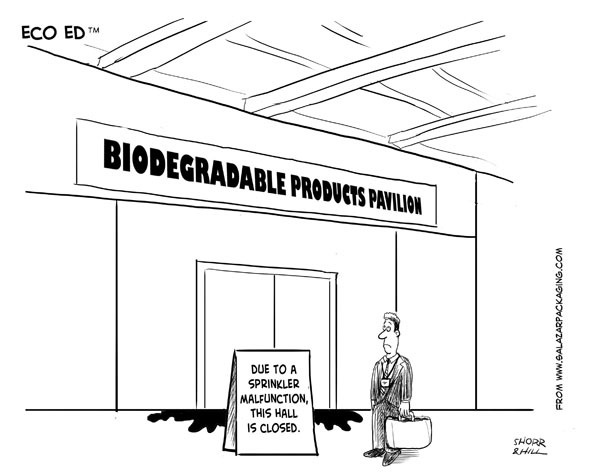 When It Comes to Sustainable Packaging – There’s no business like show business! No, not the Ethel Merman variety of show business; I’m talking about the exhibit hall, hard floors and long hours type of show business. The type of show where the only thing more outrageously priced than a square foot of booth space is the five minute lunch you gulped down which consisted of a cold hot dog, served on a stale bun with a once carbonated soft drink that hasn’t been bubbly since the 2005 Auto Show. 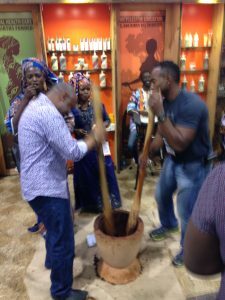 The fact is that I have seen very few companies work within the guidelines of sustainable packaging, the way people do when they are preparing for a show. At the show exhibitors do green packaging right! Most of the packaging for booth displays is wooden crates and wood is still considered the greenest packaging material because it is natural and renewable. A booth display will be used over and over again for years with perhaps only minor changes to graphics. This means the wood used to ship it is also reused many times. Even when a display is replaced, the company making the new display is very likely to re-crate the new model with the same wood. 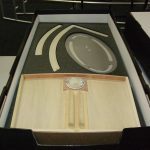 Booth displays are painstakingly “right sized” so there is little wasted space or excess packaging material to be found. This saves money on everything from construction to the multiple shipments it is certain to experience. There is a very small segment of green minded people who are more interested in the condition of the heart rather than the end result. For them it is not enough to do the right thing, you also have to do it for the right reasons. Of course I care about the motivation behind a company’s green actions but I am equally concerned about what they are able to accomplish. I would rather see a company with strict financial motivation and great end results than a company with a sincere eco heart and mind, who talks the talk beautifully but has little green success. If you closely examine most show packaging, you will agree it typically does an excellent job of satisfying critical sustainability requirements because it is renewable, minimal and reusable. 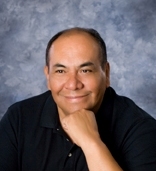 With more than 30 years of industry experience, Dennis Salazar is founder and president of Salazar Packaging, Inc. He is a prolific writer and popular speaker on the topic of sustainable packaging. His blog, Inside Sustainable Packaging, has been acclaimed by both the green and packaging communities. Dennis offers custom eco friendly packaging solutions at Salazar Packaging, Inc. and in-stock green packaging products at Globe Guard Products.com – the first internet store featuring all eco friendly packaging supplies.